China’s Huawei has paid for Australian politicians’ overseas trips more than any other company in the world. Over the last eight years, the Chinese firm has funded 12 international trips to China for federal MPs, more than double the number of trips provided by the next highest corporate sponsor, Fortescue Metals Group, owned by mining billionaire Andrew Forrest. The Chinese government also paid for accommodation for seven trips. The data for paid flights and accommodation came from parliamentary registers and was analyzed in a new report by the think tank Australian Strategic Policy Institute. 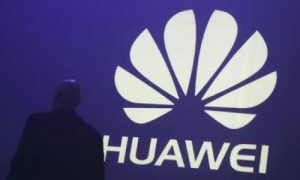 “While Huawei’s sponsorship of politicians’ travel to China doesn’t breach any rules, the number of trips it has funded raises questions about whether MPs should be able to accept any funded travel from corporations,” wrote Fergus Hanson, ASPI’s head of International Cyber Policy Centre, with research intern Jessica Clarence. “At a minimum, it raises questions about the appropriateness of allowing politicians to accept travel paid for by companies like Huawei that are lobbying to participate in Australia’s 5G network – a critical piece of national infrastructure,” they added. Huawei is currently bidding to provide equipment to Australia’s new 5G network, a move that has caused global controversy. Concerns exist around the ease with which Beijing can order Chinese companies to participate in “national intelligence work,” potentially allowing the Chinese Communist Party access to critical Australian infrastructure. Earlier this year, during a visit to the US, Australian Prime Minister Malcolm Turnbull was reportedly briefed by the head of the National Security Agency and Department of Homeland Security regarding concerns over Huawei supplying equipment for the 5G network. Recent reports suggest Huawei is almost guaranteed to be excluded from supplying equipment to the 5G network for similar reasons. In response, Huawei sent a letter to Australian MPs and senators, trying to convince the politicians of the value Huawei could provide. Meanwhile, Huawei Technologies Australia Chairman John Lord is due to address Australia’s National Press Club on Wednesday on the subject: ‘Is Australia ready for the smart China reality?’, where he is expected to press the company’s case for its involvement in local infrastructure.